Jake Pisarcik is quick on his feet, as is the Oregon Duck coaching staff. It matters. 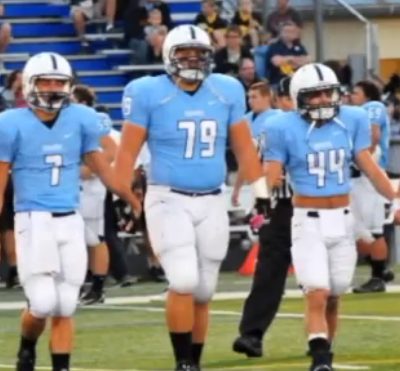 As a result, 6’3″ 280 lb. 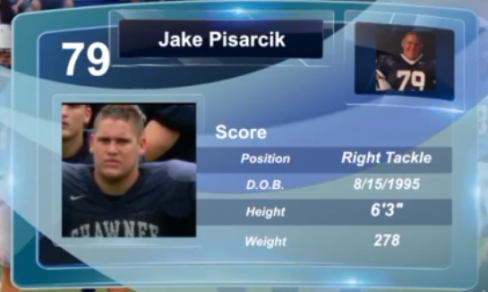 HS offensive lineman Jake Pisarcik will be suiting up for the Oregon Ducks next fall. It is a strange story in some ways; a high school football player who had no interest from Division 1 colleges receiving a scholarship offer from a top-five football program located 2,500 miles away from Medford, New Jersey’s Shawnee High School. But it just goes to show you the importance of being quick on your feet. Jake played tight end through his Jr. year and had received, in reality, almost no attention from Division 1 or 2 programs. Last October, in the middle of his senior season, Jake and his father decided that they would put together a highlight video of Jake’s games from the first half of this season. One of those tapes wound up in the hands of Oregon coaches who liked what they saw. Oregon, a program known for defying convention, was quick on its feet. Once the Ducks regular season ended Oregon contacted Jake to let him know they were interested. Oregon sent out defensive line coach Jerry Azzinaro to Pisarcik’s high school to check things out. The coach and the player hit it off, and Jake soon received a call from offensive line coach Steve Greatwood with a scholarship offer to join the Ducks. It was Pisarcik’s first scholarship offer. Jake jumped at the offer telling the local Courier Post “I was always interested in [Oregon]. It’s a dream come true for me.” Other schools that had started to show interest, such as Maine, Delaware, Stony Brook, Coastal Carolina, Rutgers, and Maryland were left standing on the sideline. So you might be wondering, is this a sign of Duck desperation? Running across the country to extend an offer to a player that the recruiting services didn’t even seem to know existed? Or is it a stroke of brilliance on the part of the Pisarcik family to dare to send a tape to one of the top football programs in the land and expect anything to happen? Pisarcik does a tremendous job keeping his man in front of him. He doesn’t strike you as someone who just dominates and flattens the opponent although he does do that on occasion, but the effect is the same. His player is taken out of the play and he wins the battle at the line of scrimmage. He has quick feet and appears much improved over his 2011 highlight tape. One of the reasons he keeps his opponent in front of him is his ability to move and reset his feet fast enough to keep the player close. He does a good job keeping a wide base and leverage. It’s hard to get around something that is stuck to you like glue. He has a motor that doesn’t quit. Watch the video and you will see he is often one of the last players going — not satisfied until the whistle blows and his opponent is totally neutralized. My conclusion? The Ducks have likely taken a very good player before the rest of the college football world had him on their radar. This is a recruit loaded with potential. He’s not only a player quick on his feet, but one who has shown he understands the concept of Fast, Hard, Finish.